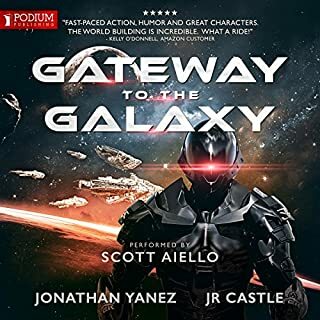 James McGill is sent to the Core Worlds! In an unprecedented first, Earth sends a message to Mogwa Prime. Unfortunately, the messenger is not met with enthusiasm. Misunderstandings soon threaten all of Humanity. 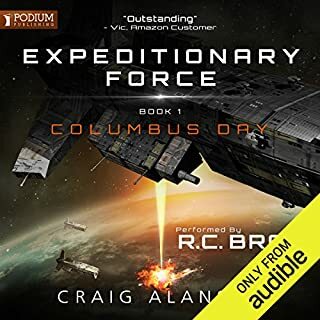 Forced to prove Earth can serve the Empire better than any rival, McGill does his best. Eager to prove our worth to the Galactics, the frontier war between Rigel and Earth is expanded to Storm World. Circled by six moons, the planet is ravaged by wild storms and tides. Battles are fought in raging hurricanes, and death stalks the soldiers on both sides. McGill grimly fights and dies in the mud until the job gets done, but will it be enough to satisfy the angry Mogwa? Having been an avid listener to this series it was painful to struggle through this book. Everything from timeline errors to rehashed events in an attempt to create a new version, in many ways it is as if a different writer was responsible for this book. The best McGill book yet. As repetitive as these books are, Mr. Larson still finds a way to keep me hooked. This book in particular *does* throw a few new interesting ingredients into the mix - a naked McGill writing a book for a Mogwa isn't something you see everyday. Still, McGill actually seems to be showing a bit of maturity and growth, as unlikely as that sounds. The series has a few ways it can go from here, and I personally hope to see some forward movement. Mark Boyett is exceptional as always. THIS SERIES NEEDS TO MOVE FORWARD! 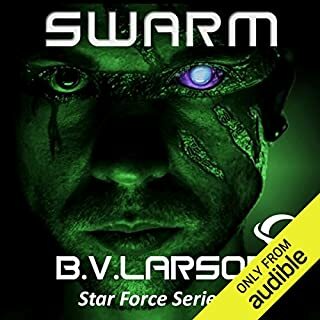 B. V. Larson is an awesome Sci-Fi writer and I love this series. But the story has not moved forward and is becoming stale and repeating itself! Please tell us more about the Galatics and the civil war that's going on! What's the big deal with it? James McGill seems to be fighting for nothing at this point in the series. He cracks me up but his story is still the same. It's time to add some twists and turns! Gotta Love Ok’ James McGill! Every time a new one comes out I snap it up immediately and put it at the top of my listening queue. Mark Boyett is masterful in his performance. He makes you love the ones you are supposed to and revile those that deserve it, above and beyond Lawson’s excellent writing. He is right up there with RC Bray and Ray Porter as the masters of bringing the stories to life for those of us who spend long hours on the road. I can hardy await the next installment on this epic and ever developing adventure following our favorite scoundrel, McGill! This series has been great from the start, but it gets better with every book. 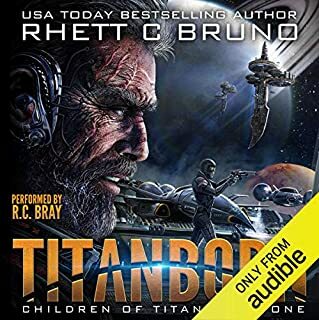 After 180 or so scifi books on audible, I can say without a doubt this series is my absolute favorite. I would preorder the next 10 books right now if I could. 10 books in and have the same excitement reading the book. it always seems fresh. 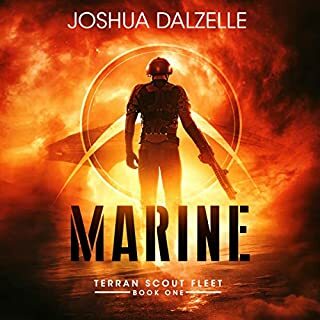 new threats and characters and of course great narration. 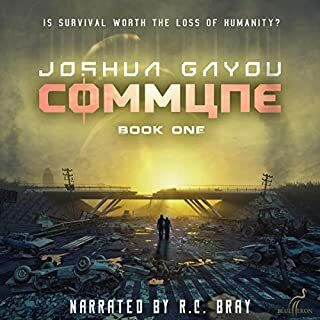 If you enjoyed the others in the series you will enjoy this one. book 11 please!! 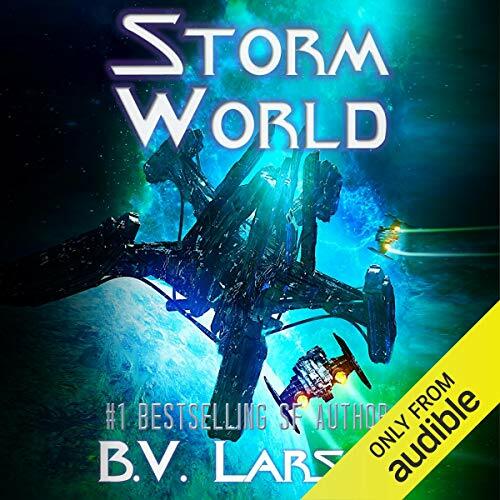 B. V. Larson continues to uncover and explore fresh new veins of gold storytelling in Storm World. 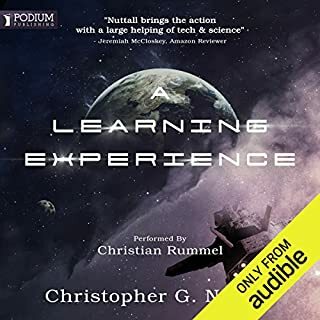 McGill and his antics continue to threaten and, somehow, save humankind from destruction; all the while treating us to hilarious situations along with informing us of new insights into the aged but still very dangerous Galactic Empire. Series started out strong and with a great concept for a story. 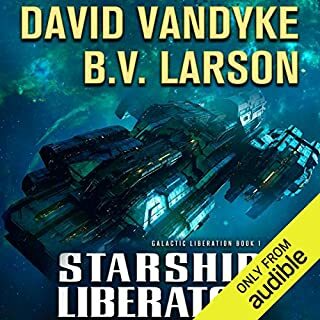 I love B. V. Larson's imagination, but after 10 books, things get stale. McGill does so many stupid things that it's becoming difficult to listen to anymore. Story line is weak. Sorry B.V., let's wrap this series up and put it to bed. Maybe re-energize Star Force or something. There's always too much of a good thing, and Undying Mercenaries as a series name seems more apropos that BV Larson probably ever intended. 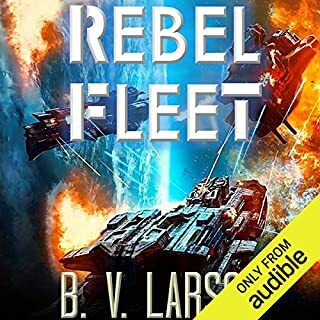 The first book was novel, life was cheap, and bullets were expensive in the universe of a legionnaire, a technological einherjar where soldiers are forever young via valkyries of science. Or at least that seemed to be the promise of series in the first book or two. There's only so many series tropes that it's not worth listing. 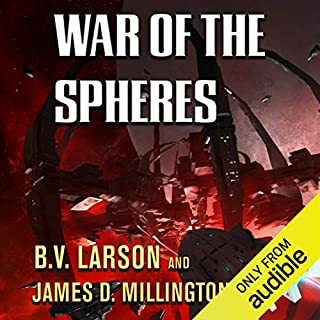 Even Larson seems bored with some of the details of the series, not even bothering to describe for the hundredth time the gross-gorey mess of being birthed by the bio-machines. Other side characters like Carlos and Kivi are sidelined to near nonexistence. Even the insultingly stupid harem fantasy of intelligent, fiercely strong, independent women who all end up in McGill's bedroom seems to be background noise this go-around. Larson almost entirely forgets McGill's daughter despite being the launching point for this book's plot. If he doesn't care, why should we? Sure, we have an ever-expanding cast of aliens like the new found allies in "squids", Blood worlders but they're mostly window dressing. All alien species are ridiculously simplified at least for the last two books, although there haven't been any off-world alien woman for McGill to seduce for two books. That sadly passes for a compliment. Also, At Turov and McGill's hedonistic self-serving relationship seems to be appropriate albeit also reduced now to the same hot-cold cycle. I gave this series 10 books and I'm pretty sure I'm out. It started out fun, if not a little silly but little has changed after the 3rd book. 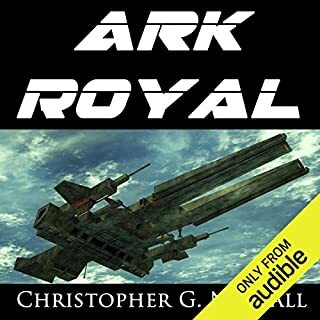 I'd of given up if Mark Boyett hadn't narrated these, he's fantastic, bringing life to an otherwise sterile book series. I'd of argued in the first two or three books that they smartly stupid. I'm pretty sure now I can remove the adjective from the last sentence. 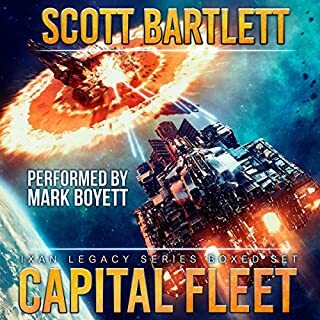 Mark Boyett is the best narrator I've listened to by far. The undying mercenary series is the best BV Larson writes. Hope they keep coming. I gave up Sci-Fi for a very long time, but was brought up on series like the Stainless Steel Rat and Robert Heinlein so I thought I'd dip back in as crime novels have become so dreary and generally dead-ended. I am really glad I did in this case. 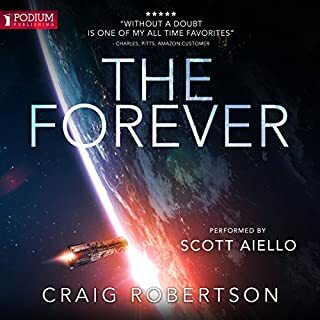 I went through the whole of this series in a couple of weeks because I enjoyed them so much, there is a blend of elements of action and intrigue although as some reviewers have pointed out, there are all sorts of sometimes quite significant holes in the core plot lines. In this case the narration is so good that he smooths out a lot of the wrinkles just by the performance, with only some minor fails with certain accents, etc. I am really glad that they've kept the same narrator - as given the style, changes would have grated. Some attention to basic plot detail would be useful (like what I am sure were inexplicable changes in shoe sizes). The worst thing about listening to all 10 "On the spin" has been the way that negatively highlighted great swathes of repetition. I know that some of that is needed in each book to allow new readers (out of series order) to pick up on certain key principles, but a lot of it is padding pure and simple. As I write this it sounds much more negative than I'd want, but the fact that I went through them so quickly and in sequence tells you how much I enjoyed them and how willing I was to suspend disbelief. I'd prefer less of the growing use of swear words, but that's just because I'm really fed up with that in general. I have really enjoyed the series so far but I'm getting bored of the same old thing, time and time again. specifically Claver, I just don't understand why every single time theres and issue Claver seems to be behind it. It's boring now. Also for the last 4 books or so it has been mentioned how the empire is a toothless old man yet nothing comes of this. This book we finally get to one of the core worlds and its skipped over quickly with McGill spending his entire, very short time, in an apartment, really???? Another great Undying Mercenaries masterclass. Looking forward to the next installment. Keep it up BV Larson. Good book, unfortunately it contains a few logical flavs. Apart from that highly recommended. I'm looking forward to the one. 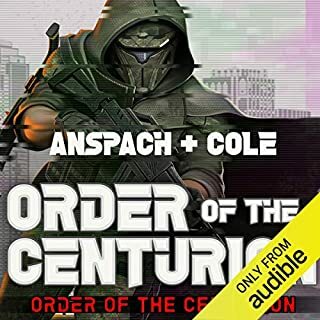 One of the best of the series, hope to hear much more of McGill in the future. Fantastic series. Already looking forward to the next episode. Always has plenty of action and humour. 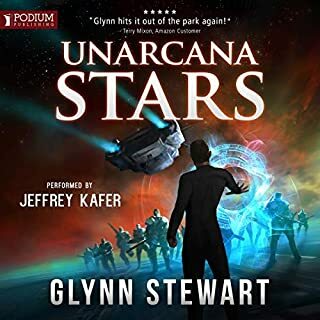 it's a good listen, nothing too taxing but a good story well told that holds your interest to the end, the whole series is excellent. 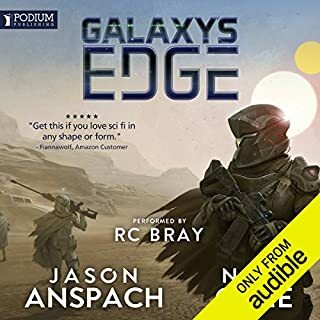 what can I say about James McGill and the undying mercs,well if you have Read any or listened to any of the other books then this is another great adventure well performed by Mark Boyett , will James finely settle down with one woman, will that rascal Clayvor finally get permmed and will Earth make its self independent from the Iron rule of the Galactic Empire? 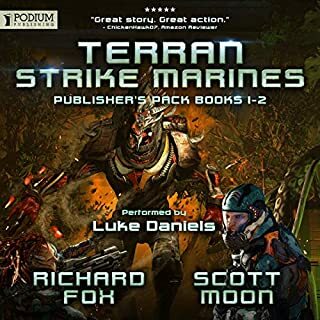 , all in all this is another great tale although a chance for a slightly different dynamic on the horizon, not much changes in the empire but all in all a great instalment with lots of laughs . 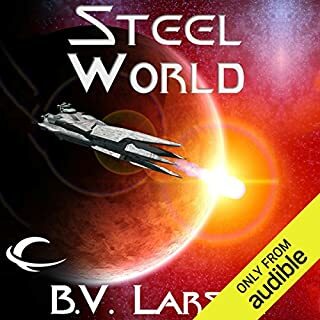 If you are new to the series check out Steel World where it all began this is a very unique space fantasy series where earth best commodity in a cruel universe is ist fighting legions paid to fight and die among the stars for their masters, with a twist they have tech that can regrow your body and reinstall your downloaded mind to get back among the Frey and die all over again, This might seem Grim but for the soldiers of legion Varis it's just life, and they do it with a smile on their faces, you will surely be shocked entertained and laugh a long with the crew , Download Steel World and you wont look back .